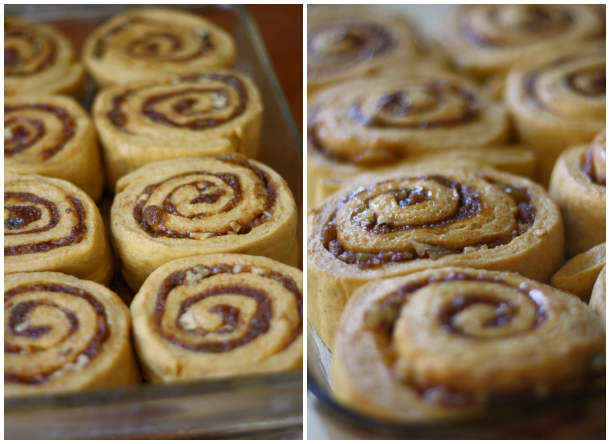 It was almost exactly 5 years ago to the day that I made my first from scratch, fully homemade batch of cinnamon rolls. I was so darn proud of myself, because I had just started to become friends with yeast. We're a family of cinnamon roll eaters through the generations, so that was a pretty significant moment in my life. Coincidentally, they also had a pumpkin base. But oh, how far I've come since then. Where once I avoided baking yeast breads like they were the plague, I now long for the comfort of their company in the kitchen. What a difference 5 years can make. 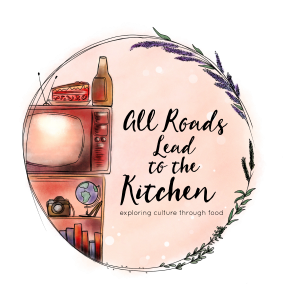 So, when our #TwelveLoaves host for the month, the lovely Renee from Kudos Kitchen by Renee, announced that our theme for November was pumpkin, I automatically knew that I was making cinnamon rolls. No, that's a lie—but wouldn't it have been poetic? I was actually leaning towards savory. Visions of a sage-laced pumpkin cornbread danced in my head. And then I entertained a rustic loaf that still included sage, but also bacon. I even had all of the ingredients ready to go for that one. But instead, the craving for cinnamon rolls full-on telenovela-slapped me across the face. Cinnamon rolls it was. I've mentioned (many times) before that I'm a bit of a connoisseur. I love a good straightforward cinnamon bun without any bells and whistles, but I can't help but veer off the path, picking up random bells and whistles and sticking them in my bag for later. Today is a bells and whistles day. Did I just say bells and whistles far too many times in one paragraph? Besides using pumpkin in the dough to give it that gorgeous orange hue, I knew that I wanted to use it in the filling, as well. Whisking some pumpkin puree together with melted butter and maple syrup basically turned it into instant pumpkin butter (uh, yeah, it totally did). 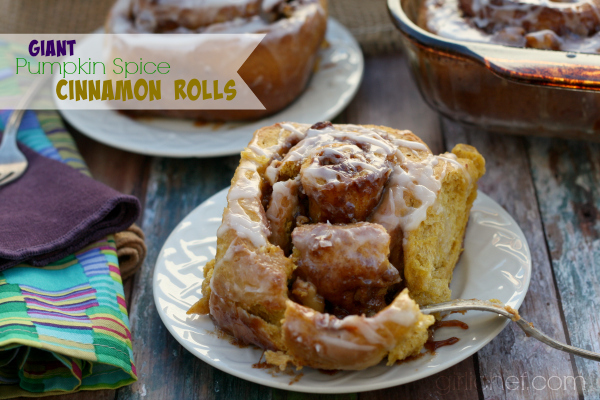 Both the dough and the filling are also laced with not only cinnamon, but a small handful of other warming spices that walk hand-in-swinging-hand with pumpkin. Bells. As if that weren't enough, you'll also find plump yellow raisins and a mixture of chopped pecans and walnuts tucked in to the gooey swirls. Whistles. 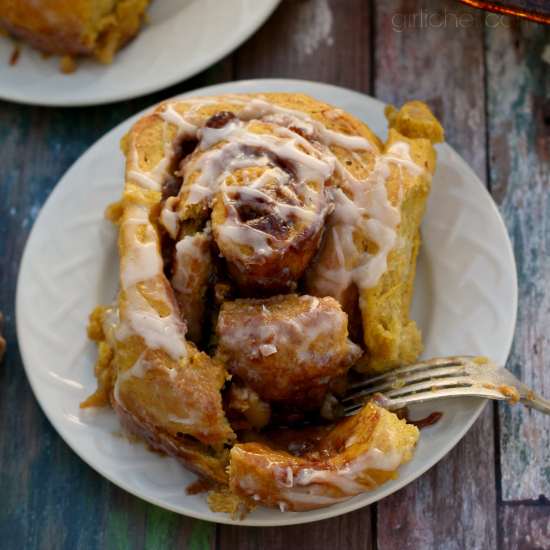 These giant cinnamon rolls are laced with pumpkin and spice in both the dough and the filling. 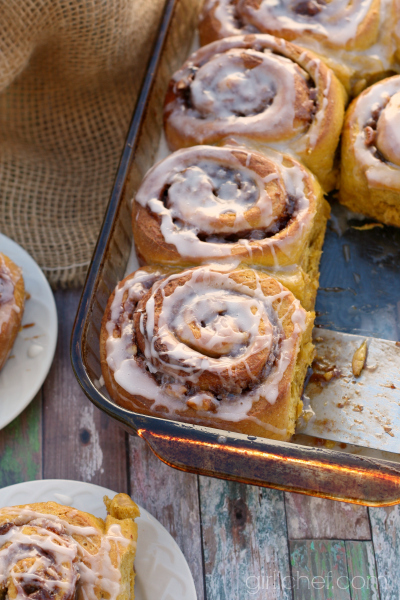 Nuts and golden raisins stud the swirls in this beautiful orange dough. 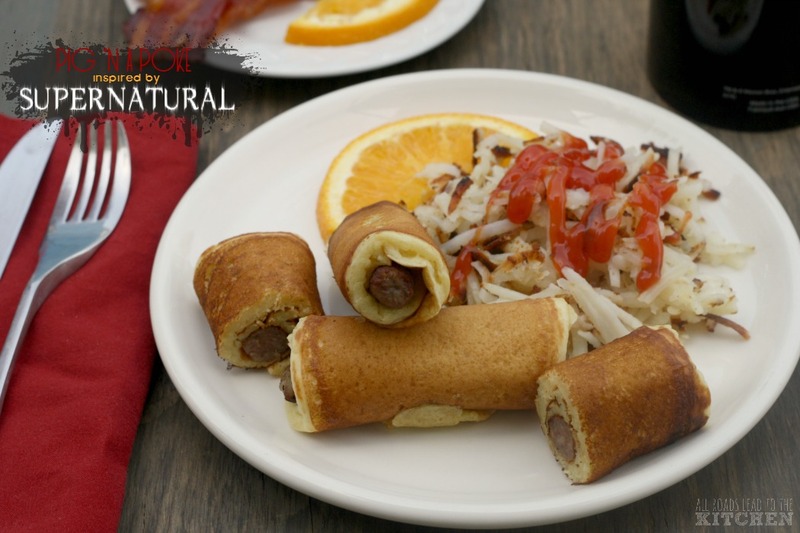 Bring them to your holiday breakfast table! Place all of the dough ingredients in the pan of a bread machine in the order listed. Choose the dough setting on a bread machine and let it do it's thing (mix, knead, first rise). 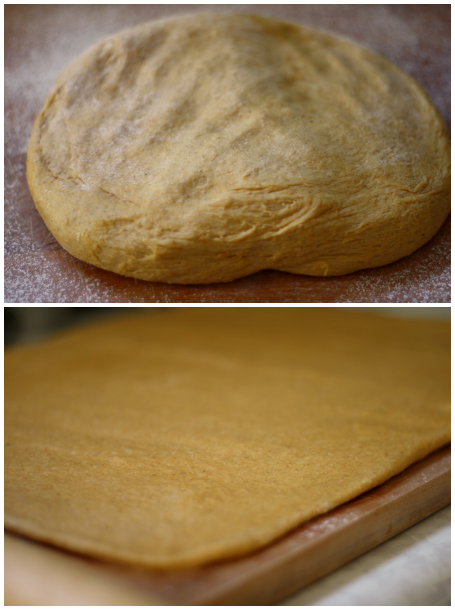 Turn dough out onto a very lightly floured work surface. Pat and roll it into a 14” x 18” rectangle. 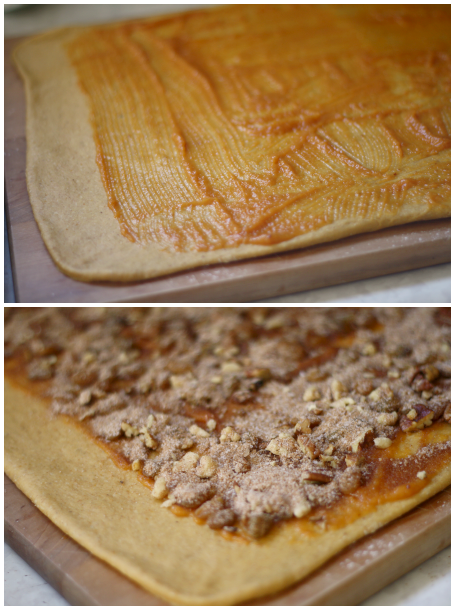 Mix the pumpkin puree, melted butter, and maple syrup together, then spread it onto the dough, leaving 1-inch of "open" dough on one of the short sides. Stir together remaining ingredients for filling then spread them as evenly as you can over the top of the pumpkin filling. 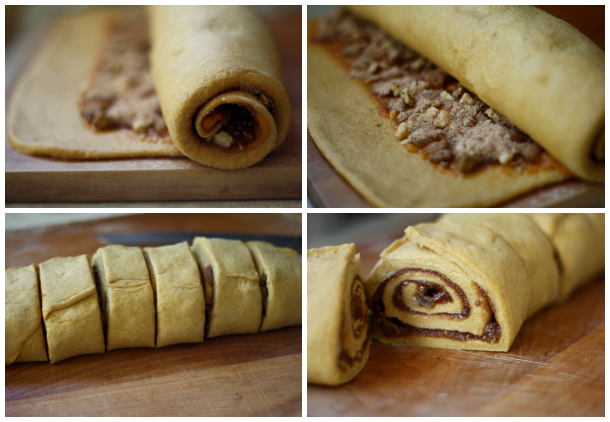 Starting from the other short side, roll the dough into a log, pinch the seams lightly to seal. Use a serrated knife to slice the log into 8 even sections. 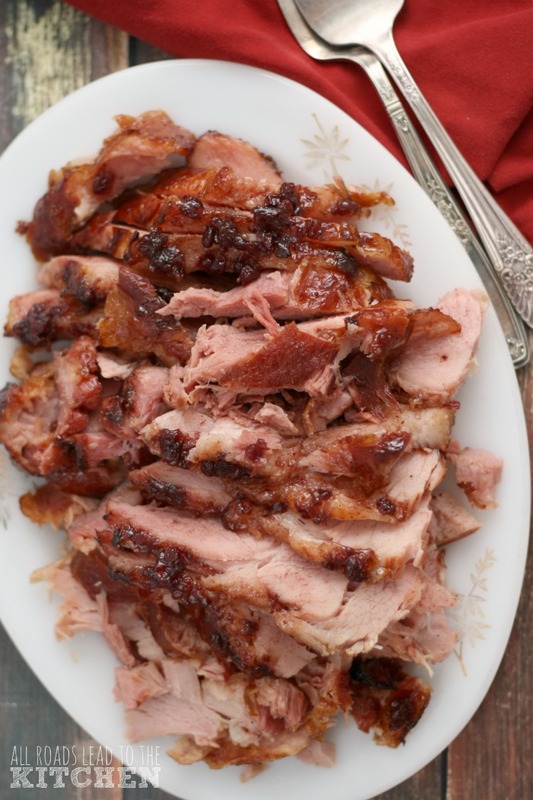 Arrange slices, cut side up, in a greased 9"x13" pan. Each roll will have a bit of space on all sides. Cover with plastic wrap and leave to rest in a warm place for 1 hour, until they've puffed up nice and big and are touching. Place oven rack in upper third of oven and preheat oven to 375° F during last 15 minutes of rise time. Remove plastic wrap and slide pan into preheated oven for ~30 minutes, or until golden and set. Set the pan on a wire rack. 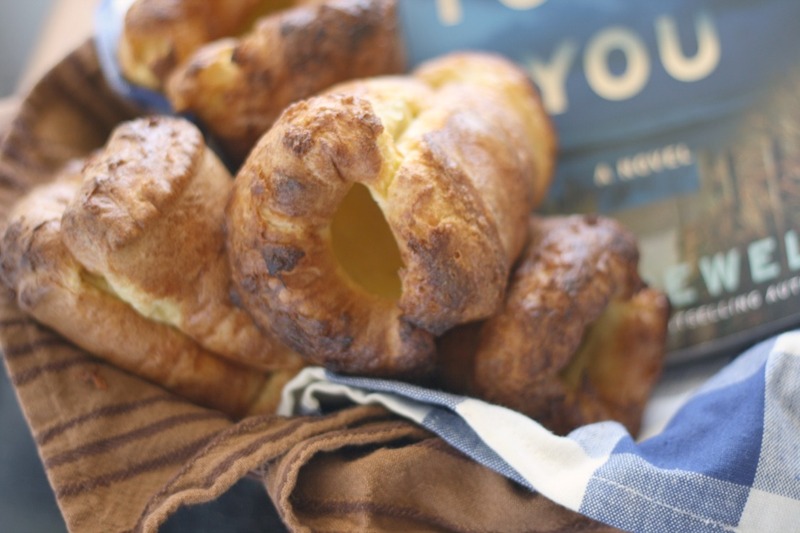 Whisk together the powdered sugar and buttermilk for the glaze and drizzle it over the rolls while they are still very warm. Enjoy! If you don't have a bread machine, you can add all of the ingredients to the bowl of your stand mixer, then use it to mix and knead until the dough is soft, pliable, and still slightly tacky. Place in a lightly oiled bowl, cover and let rise until doubled in size, 60-90 minutes. 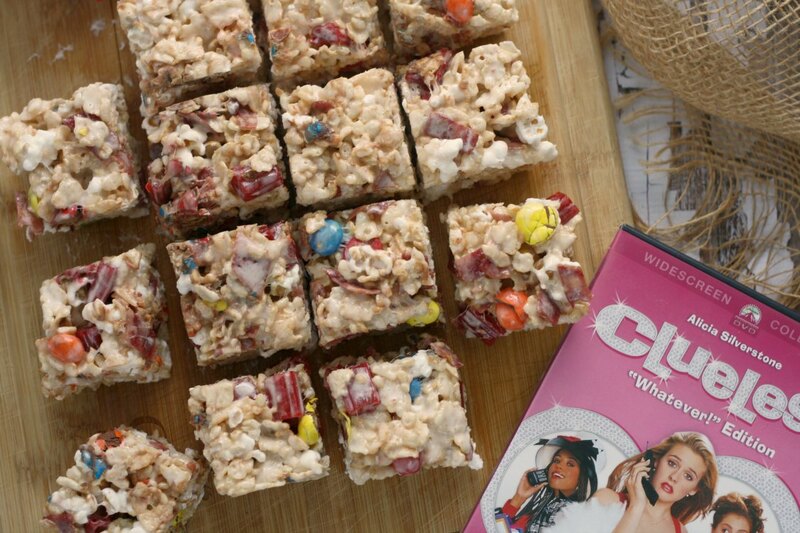 Proceed with recipe as directed. 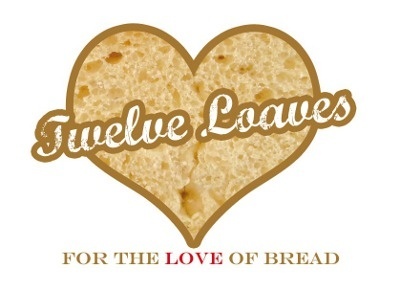 #TwelveLoaves is a monthly bread baking party created by Lora from Savoring Italy and run with the help of Heather of All Roads Lead to the Kitchen, which runs smoothly with the help of our bakers. 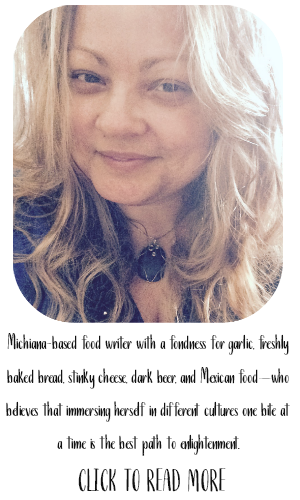 Our host this month is Renee from Kudos Kitchen by Renee, and our theme is Pumpkin. For more bread recipes, visit the #TwelveLoaves Pinterest board, or check out last month's tempting selection of #TwelveLoaves Apple Breads!